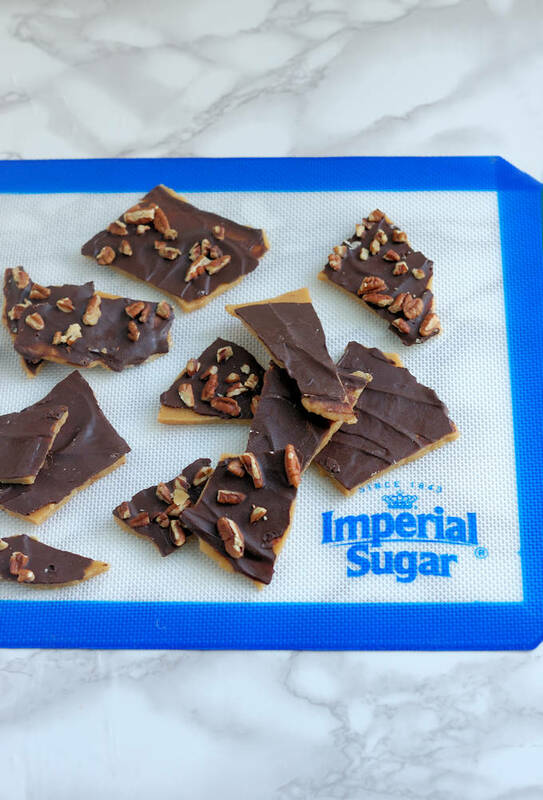 Chocolate Covered Brown Sugar Toffee is sweet, crunchy, chocolatey and surprisingly easy to make at home. 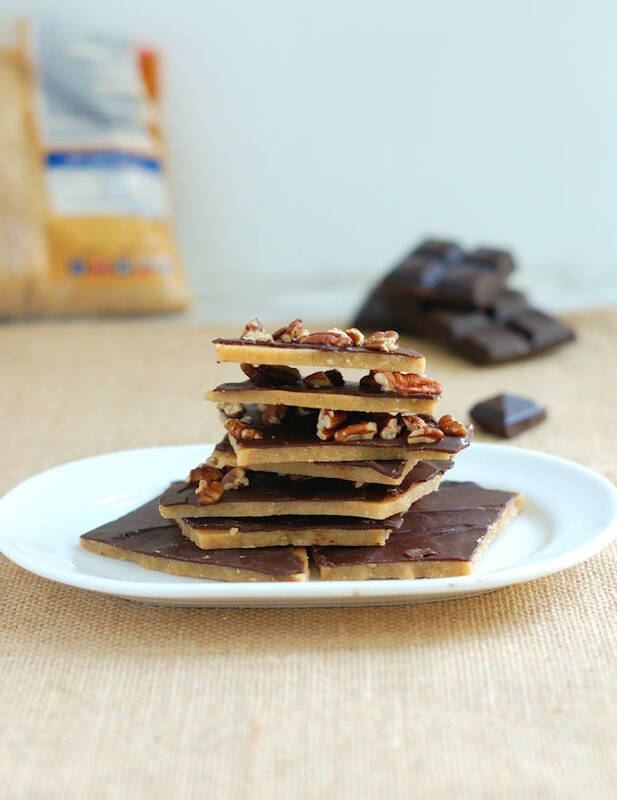 Can you believe you only need 4 ingredients and less than 30 minutes to make homemade toffee? Welcome to day 3 of #Choctoberfest! Don’t forget that you can enter every day to win a $400 prize package. 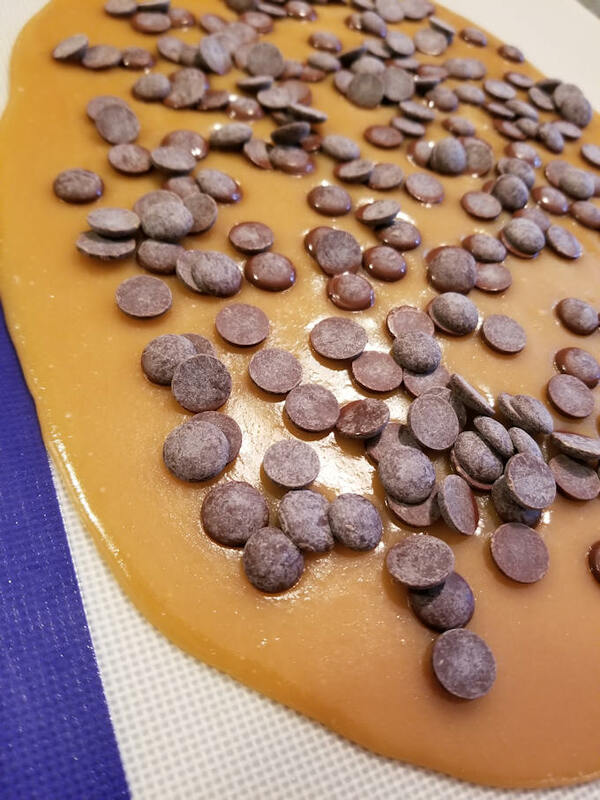 After you’re done reading about and drooling over this Chocolate Covered Brown Sugar Toffee, look for the link to the entry form at the end of the post. Happy 175th anniversary to Imperial Sugar and thanks to the company for sponsoring #Choctoberfest 2018. 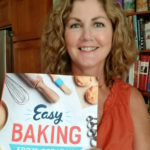 I was so excited to receive their wonderful products to use in my new candy recipe. 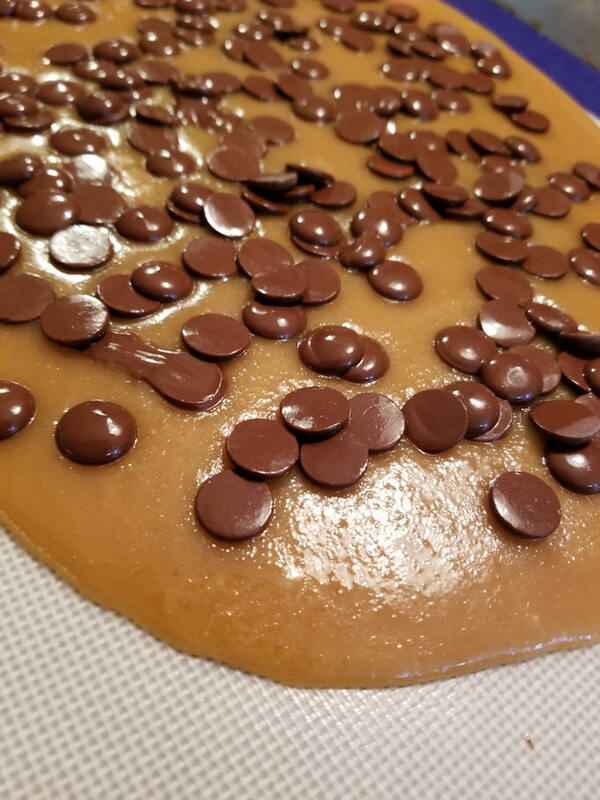 Speaking of my new candy recipe…You may be wondering why I use brown sugar to make toffee rather than white granulated sugar. Well, you probably weren’t wondering, but I’ll explain it anyway. 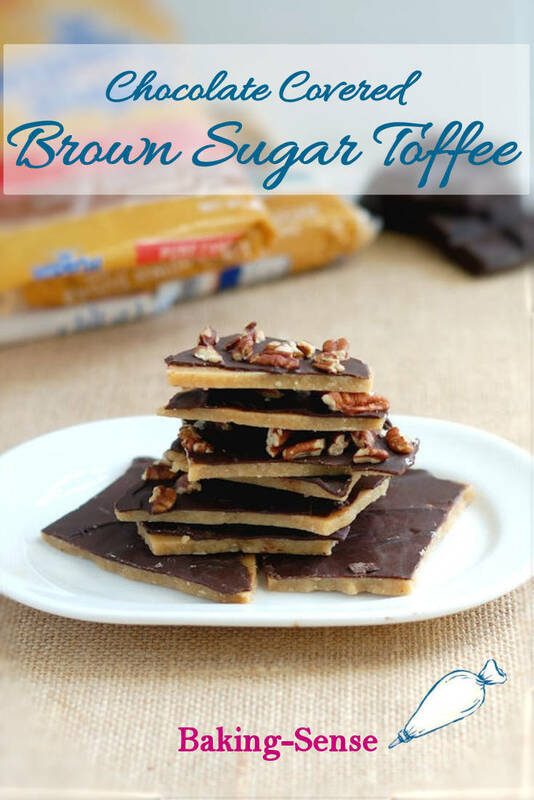 Because if you look around the internet you’ll find lots of recipes that use white sugar to make toffee. You can learn all about sugar by reading through the Baking School post on the topic. 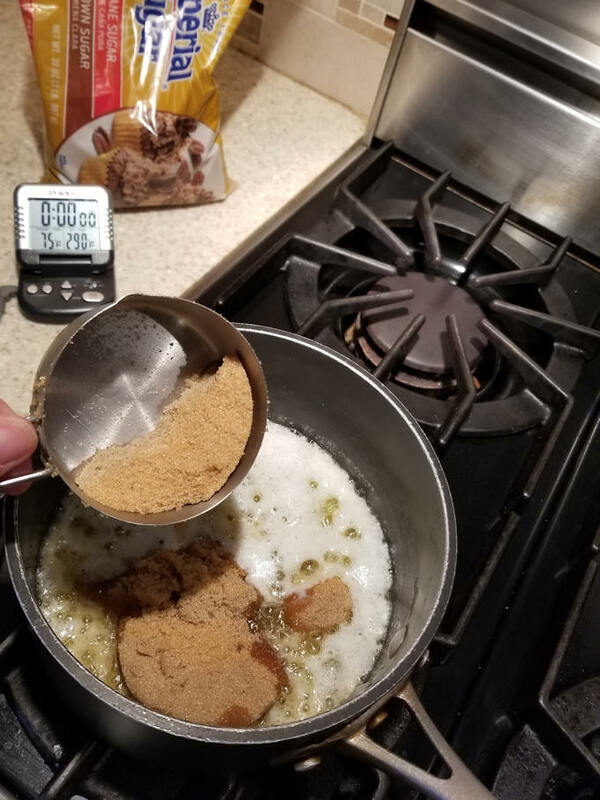 But for today we just need to know that the difference between brown sugar and white sugar is that brown sugar has molasses in it and white sugar does not. 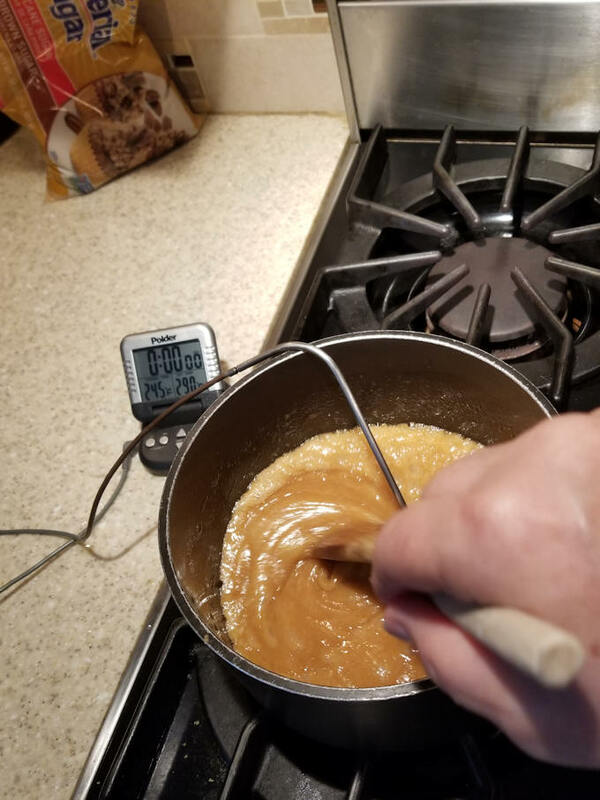 When you make toffee with white granulated sugar, as you cook the mixture the sugar caramelizes, giving the candy a brown color and delicious caramel flavor. 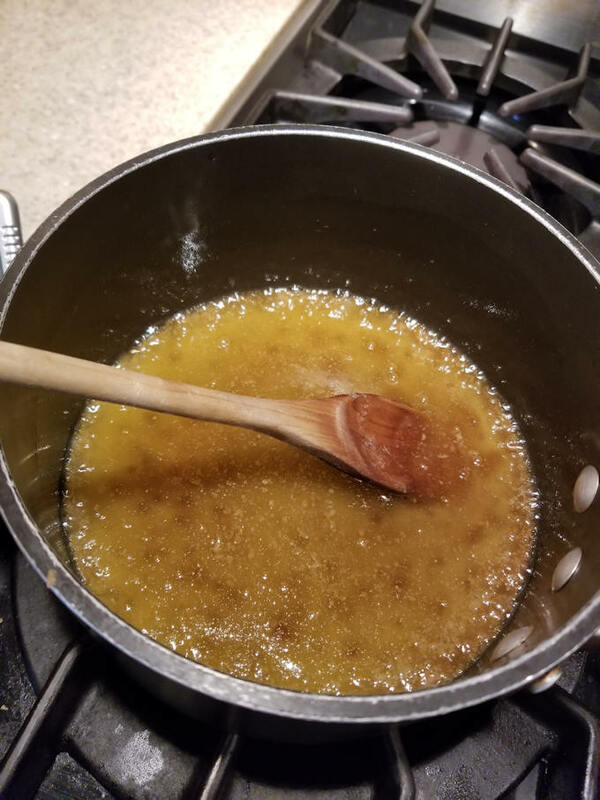 By using brown sugar to make toffee you get the same delicious caramel flavors from the cooked sugar, as well as molasses flavor from the brown sugar. 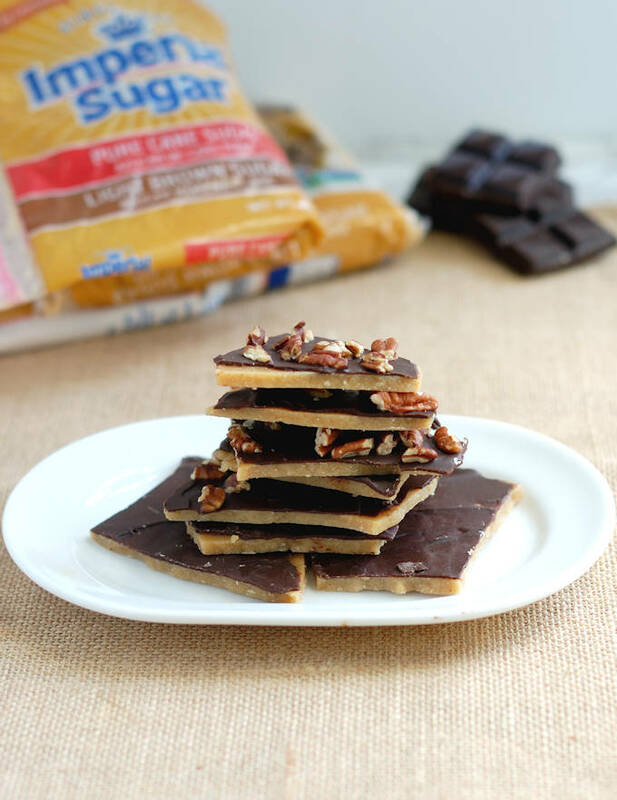 I think this layering of flavor gives Brown Sugar Toffee a really deep and interesting flavor. Add the brown sugar to the melted butter. Vigorously stir to combine the butter and brown sugar. Turn the heat down and keep stirring until the mix reaches 290F. 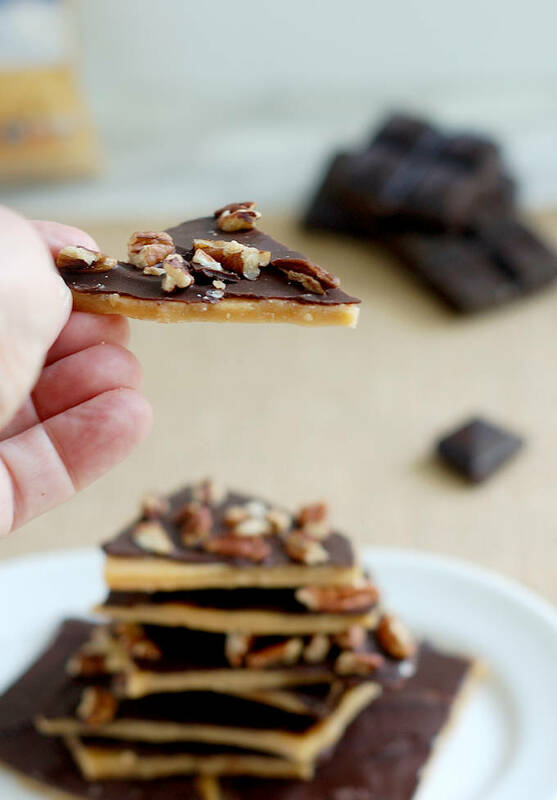 Spread the toffee if you like thinner pieces. Sprinkle the chocolate over the warm toffee and allow it to melt. Spread the chocolate after it has melted. Sprinkle on the optional chopped nuts before the chocolate sets. Use either light or dark brown sugar to make this candy. Once you add the sugar to the butter, stir vigorously until the butter is absorbed. Resist the urge to turn up the heat to speed up the process. Heating the toffee too fast can cause the butter to break out. Have patience and keep stirring. Because this recipe uses brown sugar, you can’t rely on the color of the mix to tell you when then candy is ready. You’ll need to use a thermometer to monitor the temperature of the mixture as it cooks. You can use a special candy thermometer or a regular probe thermometer. You need to cook the sugar to the proper temperature so the candy will set firm enough to break. 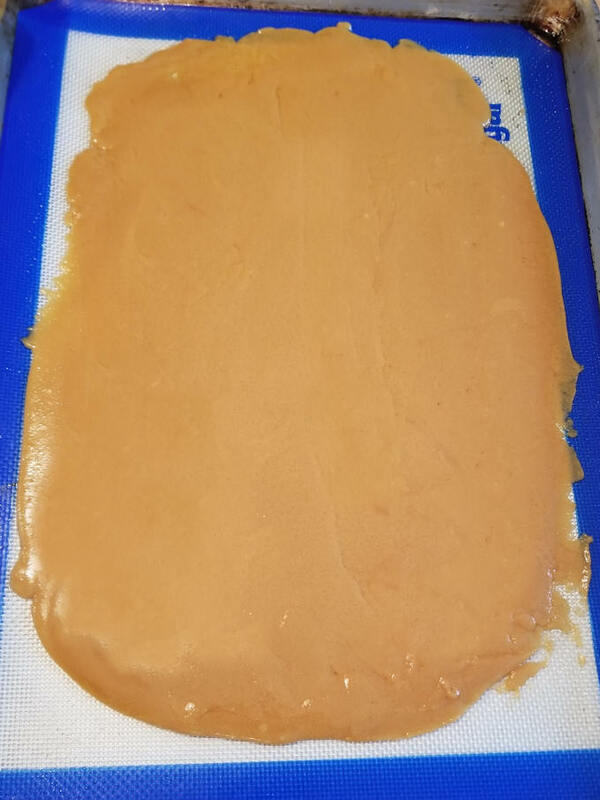 If you want thicker pieces of toffee don’t spread the toffee after it’s poured. For thinner toffee (that’s how I like it) spread the toffee as soon as you pour it onto the pan. I use a high quality semi-sweet chocolate for the topping. You can use chocolate chips, white chocolate or milk chocolate instead. You can add sprinkles, sea salt or other toppings instead of, or in addition to, the chopped nuts. 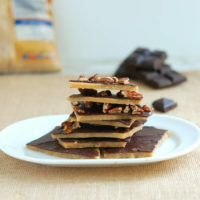 Place the toffee in the refrigerator to speed up the cooling process. 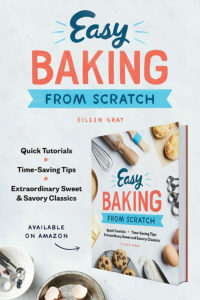 Even if you’ve never made candy before you should give this a try. A box of homemade toffee would make a wonderful holiday or hostess gift, don’t you think? Line a half sheet pan with silicon baking mat or parchment paper. Melt the butter in a heavy sauce pan. Using a wooden spoon, stir in the brown sugar, vanilla and salt. Cook over medium-high heat, stirring, until the mixture just begins to simmer. Reduce the heat to medium/low. Cook the mixture, stirring constantly, until it registers 290°F on a thermometer. This will take about 15 minutes. Immediately pour the toffee into the prepared pan. Spread the toffee out if you want thinner pieces or don't spread it out for thicker pieces. Wait 10 minutes then sprinkle the chopped chocolate over the toffee. Allow the chocolate to melt then spread evenly over the candy. If using, sprinkle the optional chopped nuts over the chocolate. Allow the toffee to set completely then breaks into chunks. To speed up cooling you can place the pan in the refrigerator. Store the candy at room temperature in a covered container. With Halloween right around the corner, it’s the perfect time for making candy and other delicious goodies. Want more inspiration? Visit Imperial Sugar’s Halloween recipe page. Remember to enter to win the big prize package. The entry form can be found in my #Choctoberfest Welcome Post. Good luck and remember to keep an eye out for another fabulous chocolate recipe later this week.